Content shared by employees generate 800 percent more engagement than content shared by brand channels (Source: Social Media Today). Leads generated through employee social marketing convert 700 percent more frequently than other leads (Source: IBM). Brand messages posted or shared by employees are re-shared 24 times more frequently than brand messages posted or shared by businesses (Source: MSLGroup). Extending your brand standards and voice with employee social reach strengthens your brand recognition. 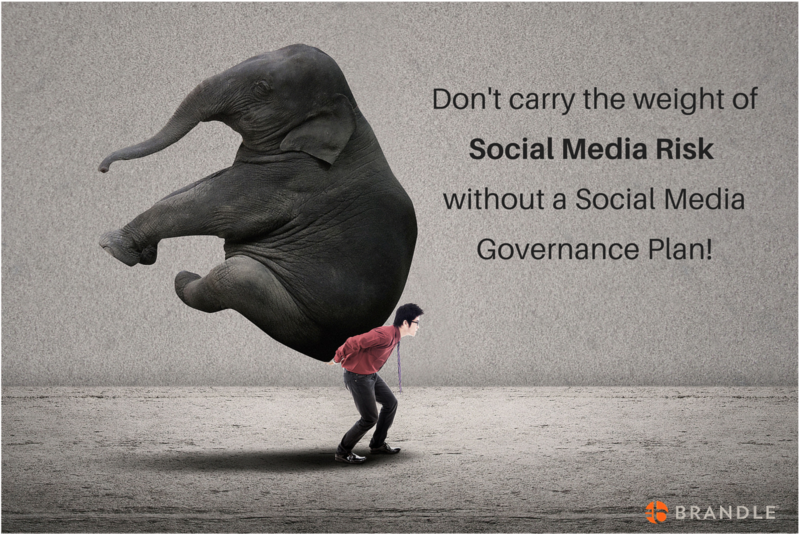 What is Social Media Governance & How Does it Protect Your Organization? 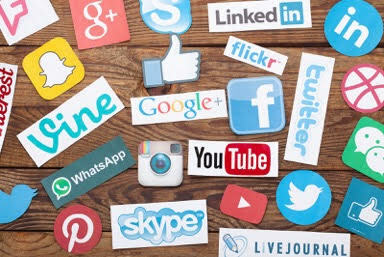 Now that social media is a widely accepted marketing channel to connect with consumers, executives have progressively elevated their concerns about the risks and the potential damage this technology can present to their companies. In fact, AON’s Global Risk Management Survey 2017 lists risk to brand reputation via social media as their number one risk concern. It is no longer satisfactory to assume that the web is impossible to control — with the right tools and team, it is not only possible to control a corporate brand presence and social media ecosystem, it is necessary. But in order to make all of this risk management happen, a solid social media governance program needs to be created, adopted across the enterprise, and implemented. Like all risk management programs, there needs to be buy-in from the top and there needs to be a corporate-wide commitment to the ongoing discipline that successful social media governance requires. 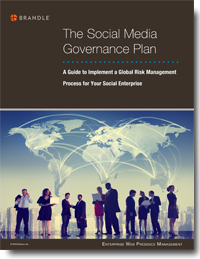 We are pleased to announce the release of our new e-book — The Social Media Governance Plan. A Guide to Implement a Global Risk Management Process for Your Social Enterprise. This e-book was written by Janet Church of Brandle, and highlights the steps that are essential for corporate-wide acceptance of a social media governance plan and process. For over four years, the Brandle Team has been focused on how we can make social media governance and web presence management as easy as possible for companies with a larger portfolio of brands and social media ecosystems. When you spend that much time thinking about (and working with customers on) governance, risk management, and the global structure of an enterprise, you learn a lot! And now we are sharing the knowledge. 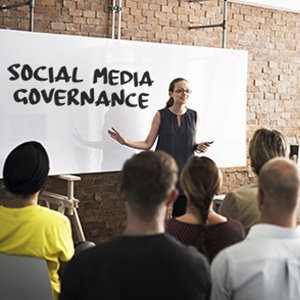 When was the last time you updated your corporate social media governance plan and ensured all aspects of the plan are current, effective, and well-communicated? As we stated in our last blog post, research firms have listed risk to brand reputation as the #1 risk concern of global c-level executives, and risks arising from technology in the top 10. Social media can be an in-road for both of these risk concerns. This is why your Social Media Governance Plan is a critical part of the corporate risk program. We know ... creating an effective corporate-wide plan can feel like a tremendous weight on your shoulders. But reacting to a social media risk event without a plan is a much bigger weight! So to help lighten the load, we're getting you started with a general direction of an effective Social Media Governance Plan.